The most beautiful thing about Sydney has got to be the harbour. The amazing “coat-hanger” Bridge and the unique design of the Opera House – it truly is a sight. 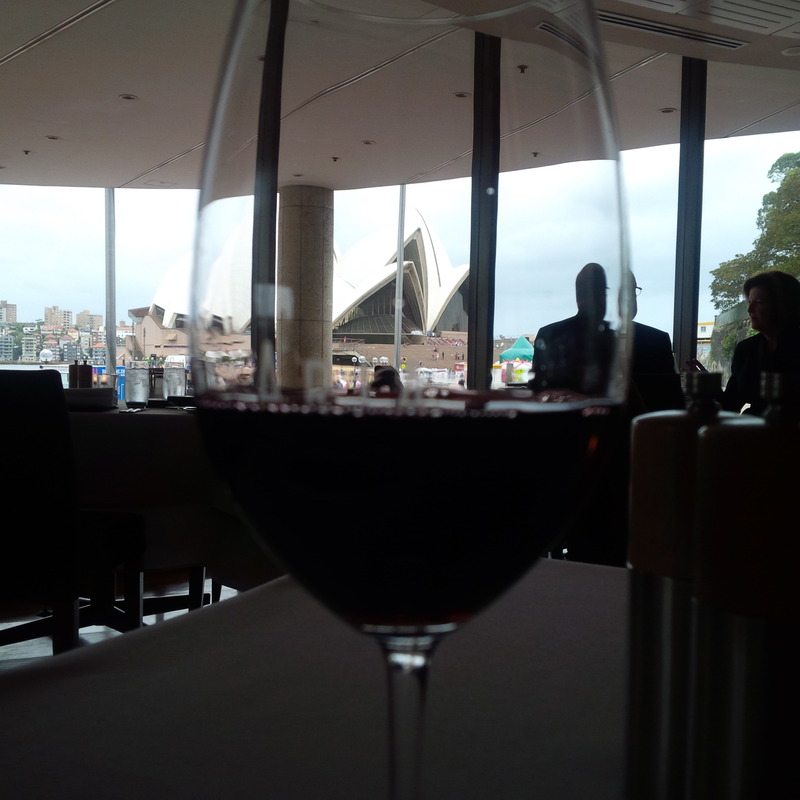 Of course a good view needs good food & wine to go with it. This is where Aria Restaurant plays its part. 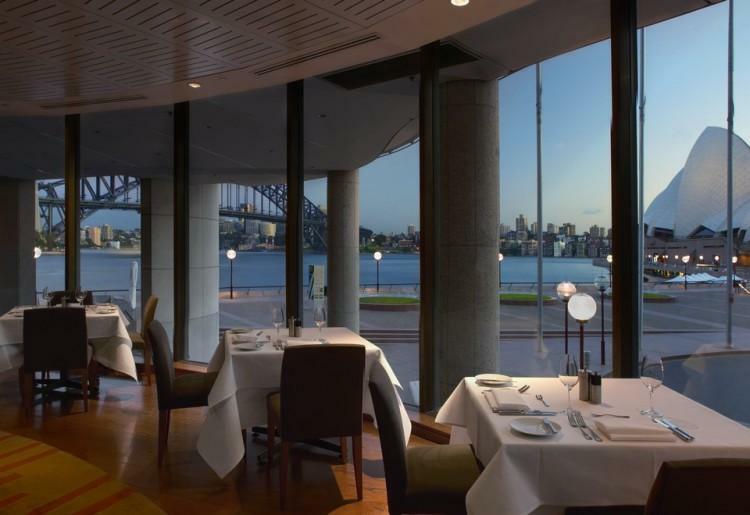 Located on the edge of the Circular Quay, the restaurant overlooks the Opera House and Harbour Bridge. It’s a beautiful view with great service and fantastic food to go with it. I opt for a special set menu for dinner – it’s absolutely amazing. 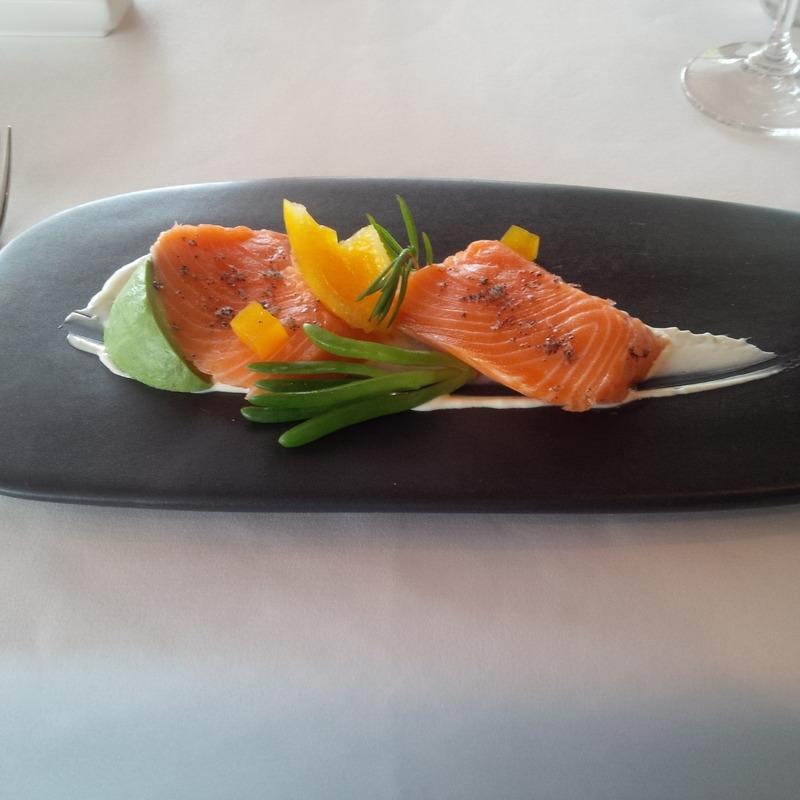 The First Course is the Confit fillet of king salmon with avocado, vanilla and orange. The Salmon is cooked sous vide. A method of cooking, where the salmon is sealed in airtight plastic bags in a water bath and cooked for a long period of time in at an regulated temperature much lower than normal forms of cooking (ovens etc.). The food is cooked at 55 °C to 60 °C. This cooks the salmon evenly, and not to overcook the outside while still keeping the inside at the same level of finish. This keeps the salmon juicier and retains all flavours. Now how does it taste? The soft creamy avocado, the sweetness of vanilla and the tanginess of the orange are paired perfectly with the soft oily-based sweet salmon meat. It’s an amazing dish. It is paired with a glass 2012 Bartlett’s Pinot Grigio (by Logan Wines) from the Central Ranges in NSW. This is a crisp light white varietal which doesn’t compete with the salmon but accompanies it. 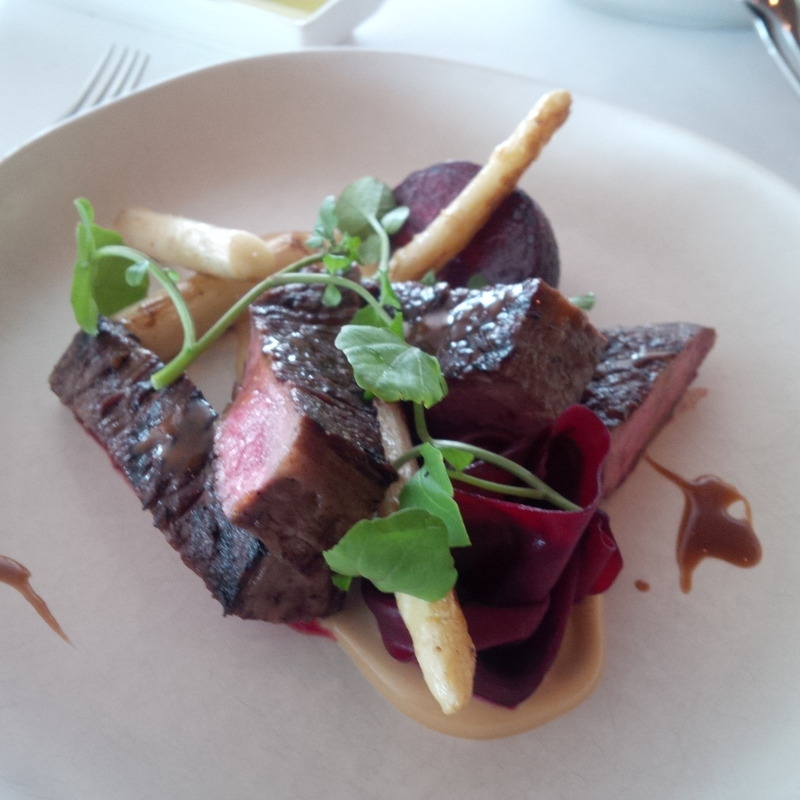 Rangers Valley flank steak with salt baked beetroot, miso, roasted white asparagus and a yuzu and soy dressing. 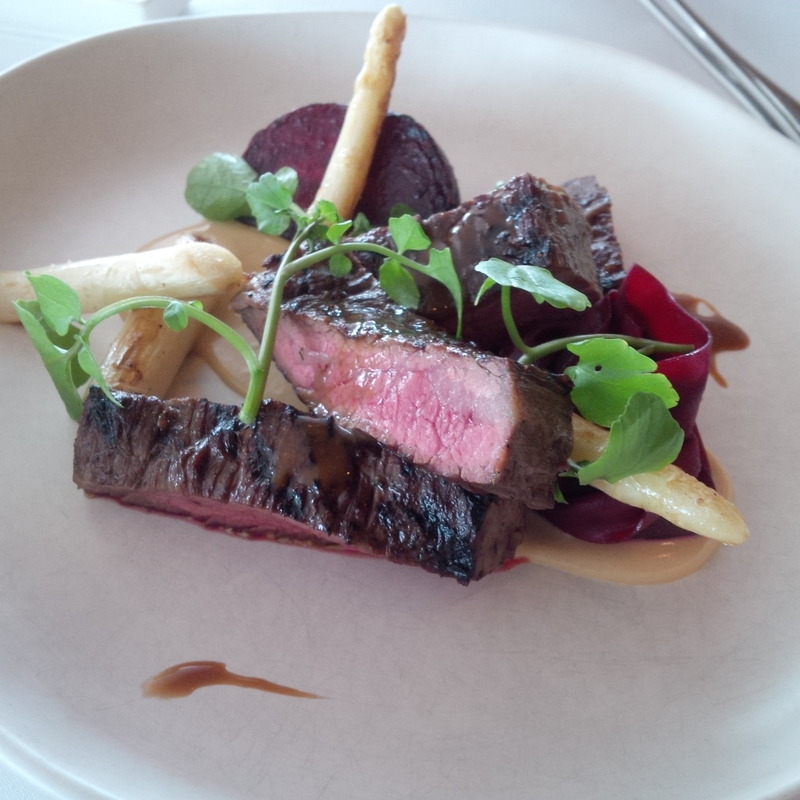 A true masterpiece, tender flank steak with a fusion of very different flavours, the salt and sweet beetroot is a pair of delight, and the distinct miso flavour is perfect with the saltiness of the steak. The white asparagus adds some firm textures to the dish. 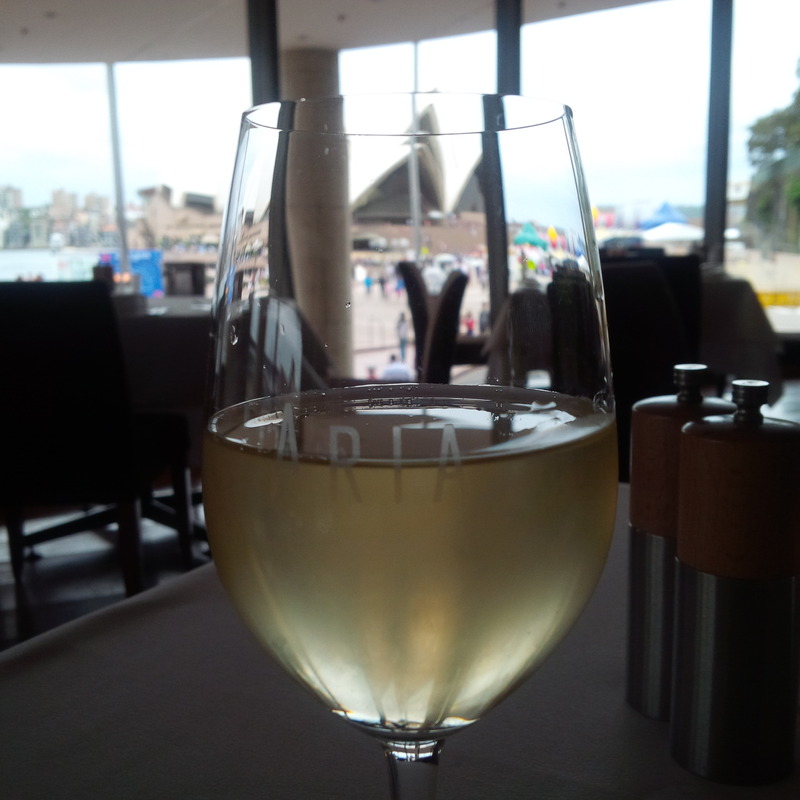 This is paired with a lovely NSW Shiraz – Mt Pleasant Rosehill Shiraz. The vineyard has rich volcanic soil structure which produces some fantastic wines. Its medium bodied with a beautiful combination spice and sweet fruity taste with a hint of “mocha”. 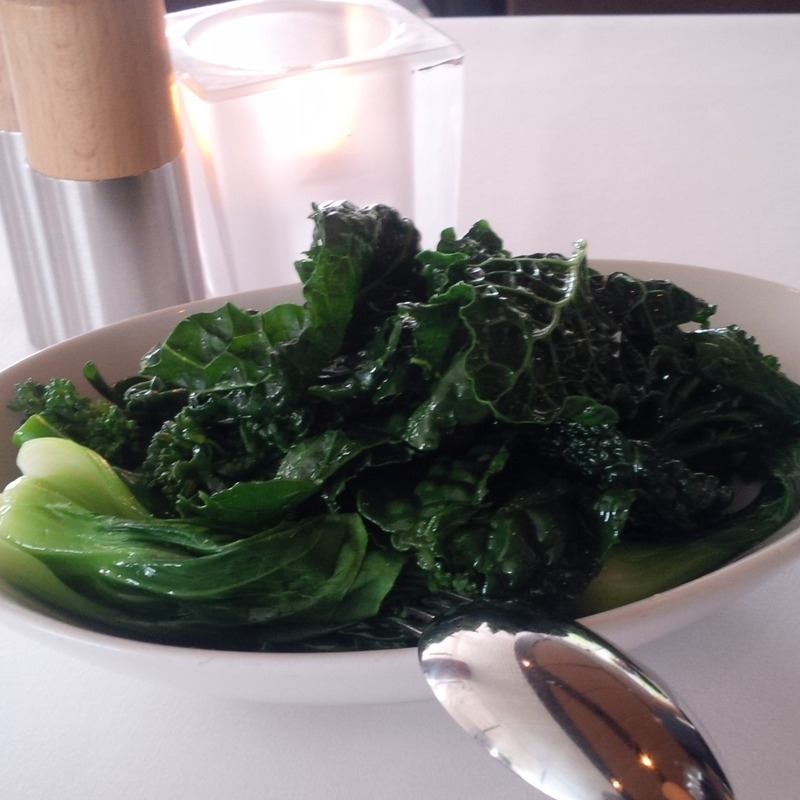 Some side greens drizzled with olive oil are provided as a tasty side to the dish. 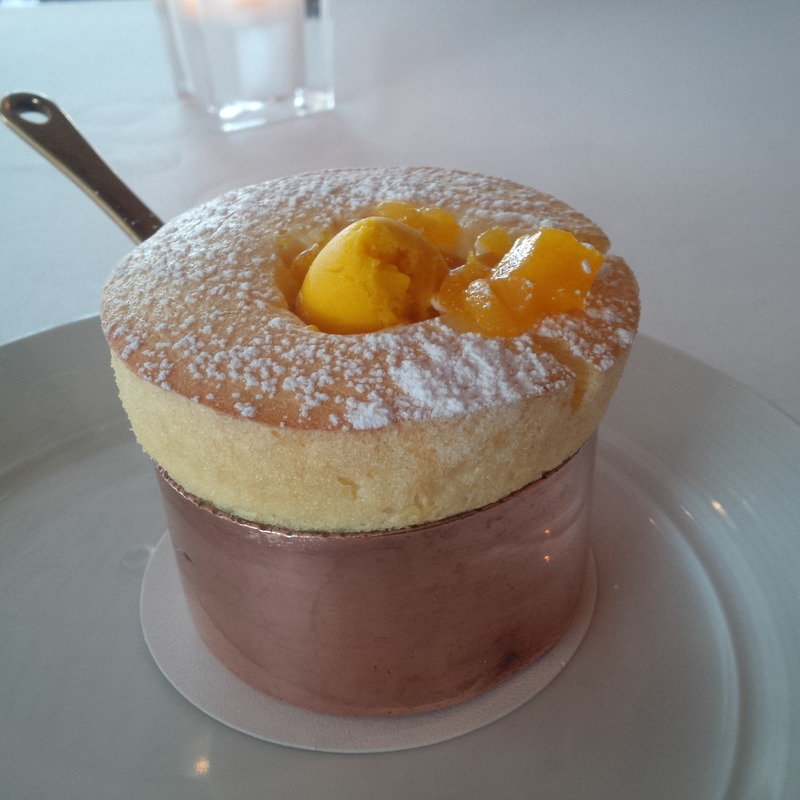 I opt for the Mango Soufflé – it’s a masterpiece. The soft fluffy dessert with a crisp outer coating is just the way it should be. The sweetness of the mango provides the perfect “soft” finish while the gooey soft inside of soufflé is the decadent. The crispy texture of the outer coating provides the right contrast to the soft inside. The Mango Sorbet which is placed on the top adds a special touch to the dish. Instead of coffees, another glass of the MT Pleasant Rosehill is the choice. 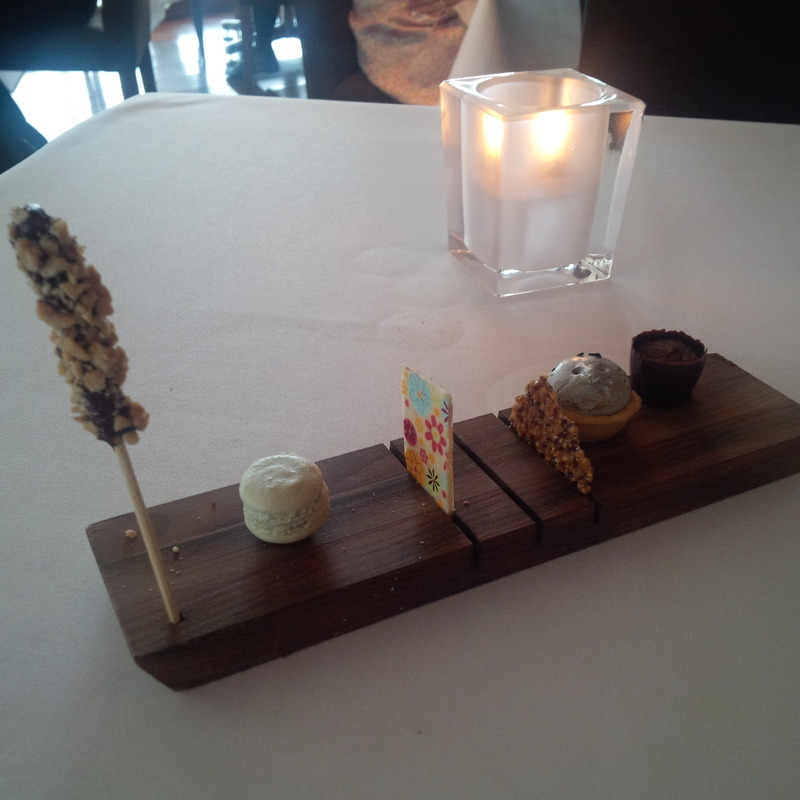 Complimentary Petit Fours are provided. 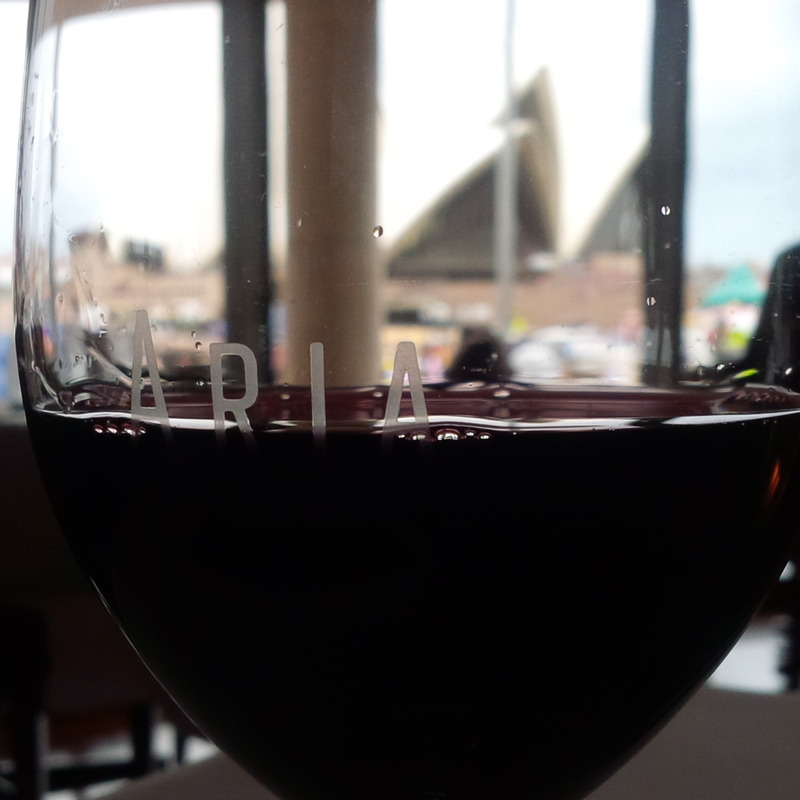 So ends a beautiful night at Aria Restaurant – it’s my favourite restaurant in Australia by a mile!